Editor’s note: Detoxification is often on people’s minds as the days grow warmer and Spring begins to bloom. Whether you like detoxifying juices or cleansing meditations, there are many wonderful yogic ways to cleanse and renew yourself after a long winter. 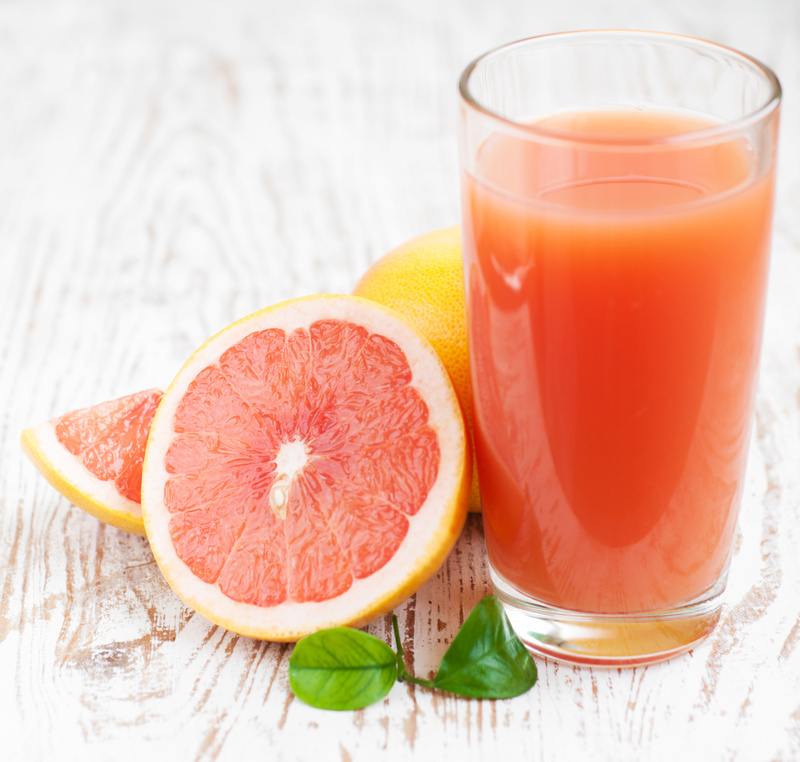 Blogger Sarah Emerson shares a delicious juice recipe perfect for detoxification, and a wonderful meditation for cleansing. SPRING IS HERE. It is time to clean up and clear out the darkness and shine light into your body, mind and spirit. The best way to bloom into the new season is by taking the steps to awaken yourself to new thought-styles and ways of being with dynamic movement, meditation, breathing techniques, healthful foods and always tons of love. There are more than a dozen of yoga disciplines to help you on your path; however, if you’re looking for a direct line and access to transformation and change this season, there really is only one choice and that is Kundalini Yoga. 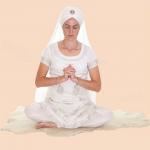 Kundalini Yoga is the original and most powerful of the twenty-two schools of yoga, all of which are beneficial. The Yoga Sutras (the yoga bible) describe that what you can achieve in 12 years of Hatha Yoga, plus 6 years of Raj Yoga, plus 3 years of Mantra Yoga, plus 1 year of Laya Yoga can be accomplished in a single year of consistent practice of Kundalini Yoga. Wowzer! My two favorite versions of this mantra are found on Sat Kartar Kaur’s CD “Flow” and Alexia Chellun CD “Har”. As Mother Nature begins to shift and change, it helps me as a teacher to reflect on the gifts of change I am able to offer each student that attend my classes. Last week to kick start the growth and detox process, I taught the Kriya for detoxification found in the Self-Experience manual to help dust off the co-webs, wake up the energy channels and lighten up the load within our physical bodies by cleaning out the crud. We followed the kriya with a cleansing pranayama meditation. To begin find a comfortable position with spine straight with eyes 1/10 open. Interlock all the fingers except the ring fingers. Point the ring fingers up between the palms. Cross the ring fingers and press the pads of the fingers together. 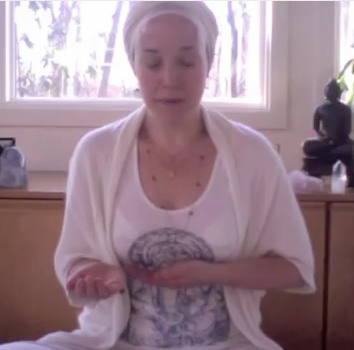 Close the palms together and squeeze, as you place the mudra in front of the Heart Center. Keep the elbows pressed into the sides of the body. Inhale in 4 equal parts using the mantra “So” on each repetition. Exhale the breath in 4 equal parts using the mantra “Hung”. The complete mantra is So Hung. Continue the breath pattern for 3-11 minutes. To end Inhale, exhale then relax. To continue the detoxification process and to accelerate the cleaning and clearing within your body and vibration, I came up with a juice recipe you can drink during the month of April. Directions: Juice all ingredients but the blueberries in a juicer. Place juiced veggies in a blender with blueberries and let it blend together. Enjoy feeling the effects of your discipline and work this month. When you make a commitment, it will be evident in how you feel and look both inside and out. 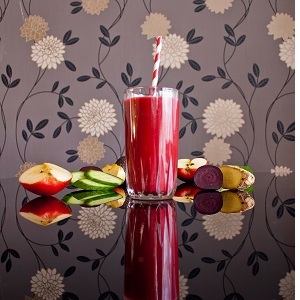 A Delicious Detoxifying Juice Recipe!